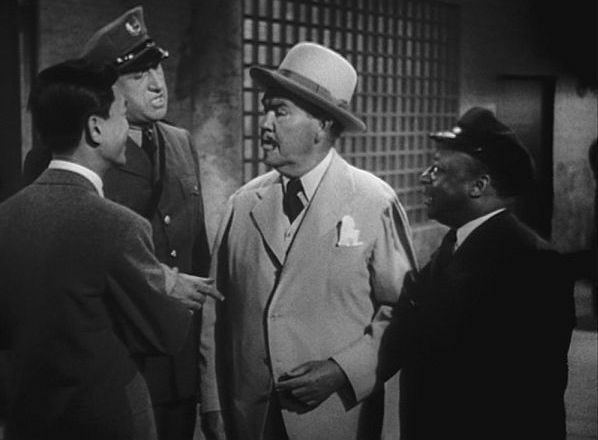 Tommy and Birmingham Brown, in a scene from The Shanghai Cobra (1945). "Rising generation sit too much." WEEKLY CHAT/FILM VIEWING: The Scarlet Clue starring Sidney Toler. Please join us as we celebrate the birthday of Mantan Moreland and discuss this film LIVE, watching it together via video tape or DVD! Place: Our Charlie Chan Family Chat Room. Mantan Moreland, who would portray Charlie Chan's often-reluctant assistant and chauffeur, Birmingham Brown, in fifteen films, is born in Monroe, Louisiana, on this day in 1902. WEEKLY CHAT/FILM VIEWING: The Shanghai Cobra starring Sidney Toler. Please join us as we discuss this film LIVE, watching it together via video tape or DVD! WEEKLY CHAT/FILM VIEWING: The Red Dragon starring Sidney Toler. Please join us as we discuss this film LIVE, watching it together via video tape or DVD! WEEKLY CHAT/FILM VIEWING: Dark Alibi starring Sidney Toler. Please join us as we discuss this film LIVE, watching it together via video tape or DVD! Mantan Moreland, who portrayed Charlie Chan's often-reluctant assistant and chauffeur, Birmingham Brown, in fifteen films, dies in Hollywood, California, on this day in 1973. WEEKLY CHAT/FILM VIEWING: Charlie Chan at the Circus starring Warner Oland, as we celebrate his birthday. Please join us as we discuss this film LIVE, watching it together via video tape or DVD!